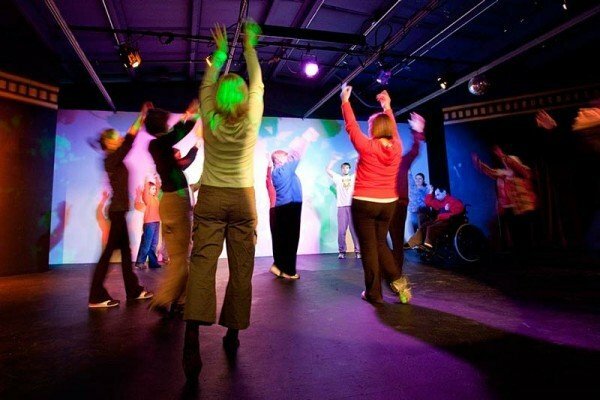 Our free community workshops incorporate theater, music and movement with an emphasis in improvisation. Activities such as moving with music, mirroring each other, playing with props and working together on a small informal performance piece. Tailored to fit the each participant’s ability.